12:00 – Go outside as Dad now took over the remote and started to watch Grandstand. As a kid, football didn’t hold an interest (American Football was my passion (which was weird for a UK kid at that time). I just wasn’t that interested in football, where I would have watched footballers like Paul Ince, Gary Lineker plus others that I should know about but can’t remember. However, my interest was piqued at the age of 38 when I walked past The Football Game at the UK Games Expo 2016. The vibrant colours and atmosphere that was being generated from the booth was too much to ignore. So, I had a look and immediately, it took me back to when I was a child and looking at Grandstand waiting for it to finish so that I could watch the A-Team and a cheesy 80’s Saturday movie. It had the look of Roy of the Rovers, with it’s cartoon and exaggerated features of the players. The game transported you back to a period where personalities where just coming to the forefront, you earnt more in McDonalds and the football was the focus of the game. Been crying out for a decent football (soccer) game? 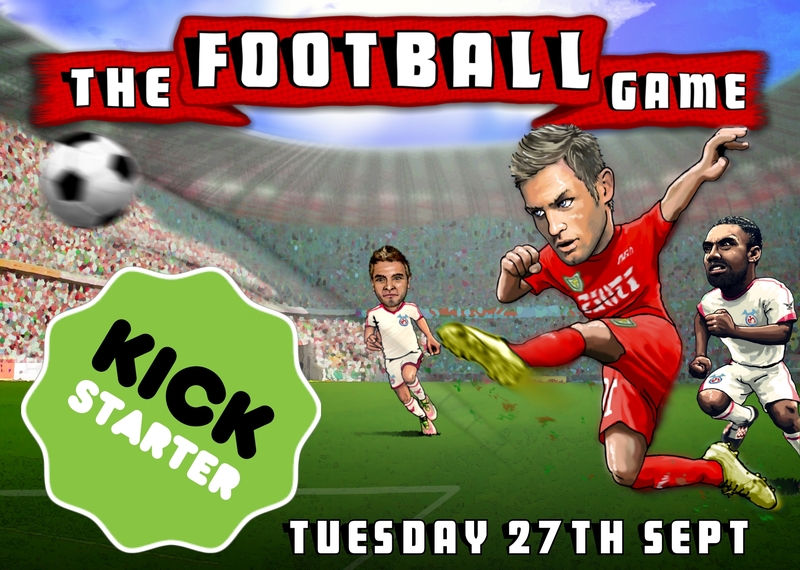 The Football Game launches on Kickstarter on September 27th! 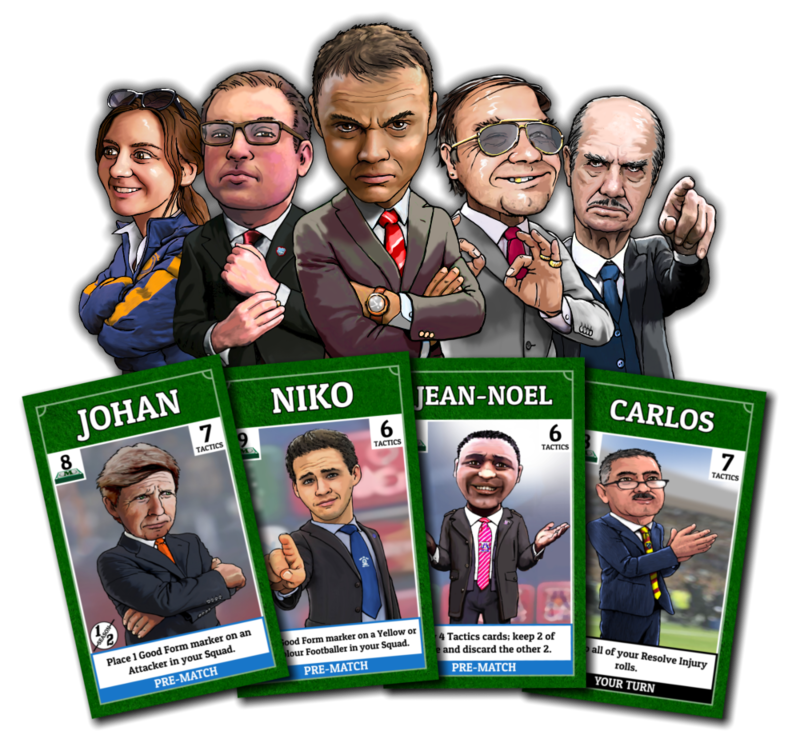 It’s a funny, fast-paced board game about football club management for 2 – 4 players. 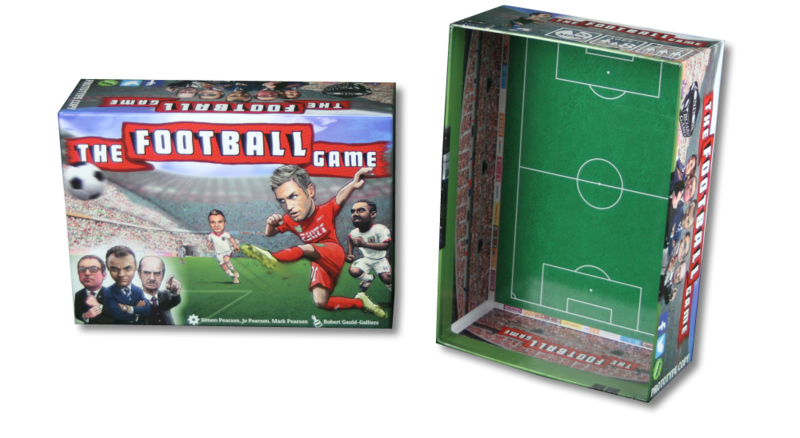 It’s a funny, fast-paced game that was born largely out of frustration at the lack of satisfying football board games! It’s different to anything out there in that it’s not a slow-motion match simulator, nor a complex afternoon-eater – it takes 75 minutes for you and friends or family to each manage a football club through an entire season. You’ll win the game by exceeding the expectations of your fans and chairman; so if you’re a ‘top six’ club you must challenge for the title, while newly promoted ‘yo-yo’ clubs can win with a mid-table finish! You’ll have to dip into the transfer market to build a squad with strength and depth, pick the right first team at the right time, and mastermind the play of your Tactics cards. The stars of the show are the 80 unique footballer characters. Your footballers are the personalities that define your club. Examples include: the Wing Wizard, the Incredible Sulk, the Devious Diver, the Calamity Keeper, the Samba Star, the Daredevil Defender… Each has been beautifully illustrated by Robert Gauld-Galliers (art director for Thomas the Tank Engine!). Teams will rise and fall on the league table on each Match Day roll – some players will do well, and others will do badly so everyone watches in joy or despair as they find out how they’ve performed. 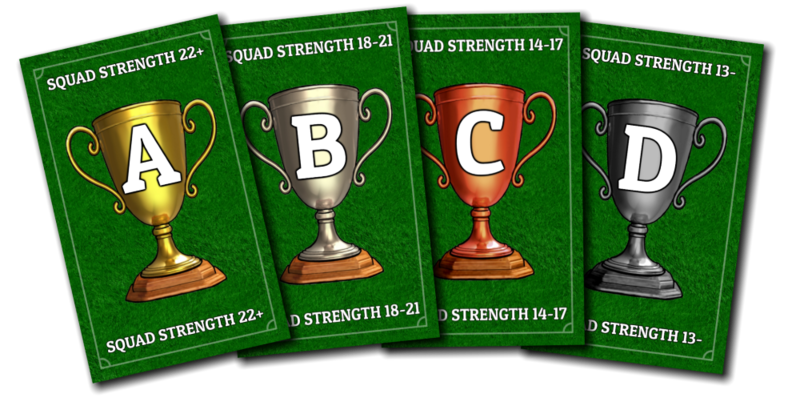 Tactics cards can be the difference between stealing the title for some, and avoiding relegation for others! 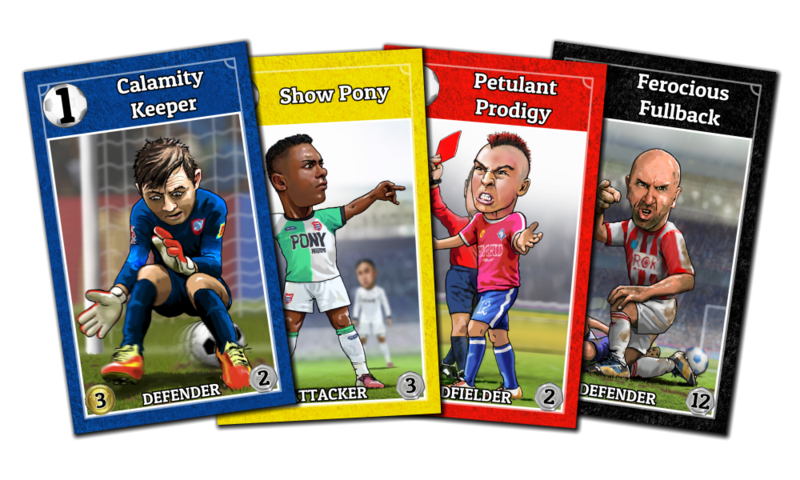 These cards allow your footballers to pull off feats such as elegant interceptions, lucky deflections and wonder goals to increase your match score. 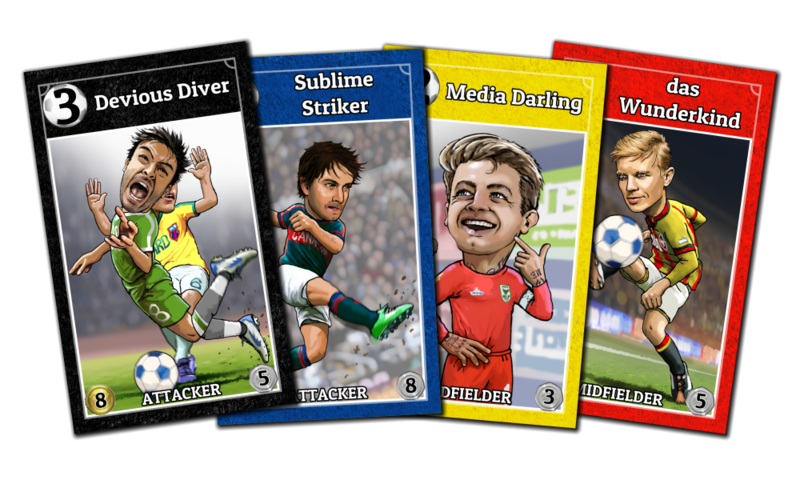 You can also hinder other Clubs with attack cards that make footballers miss ‘sitters’, score own goals and more. The Football game captures the funny and scandalous side of the sport: it’s about everything that happens both on and off the pitch. Rolling events; you may discover a youth team super-star, see billionaire buyouts, social media mishaps and many more – fifty different events may make or break your season! 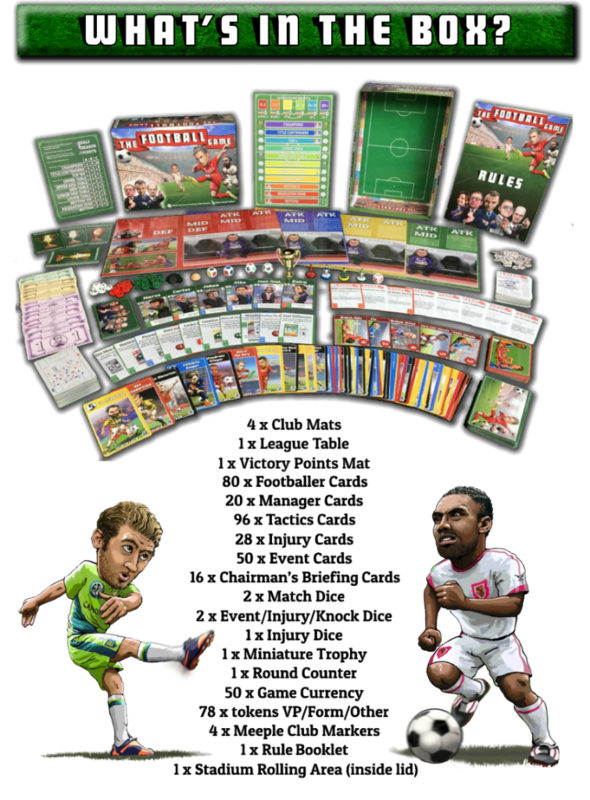 …and if you ARE a Football fan; this is the game for you! 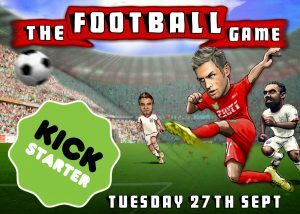 Posted in Kickstarter and tagged kickstarter, London Board Games, The Football Game. Bookmark the permalink. No worries, I liked it when I saw it. No doubt it will do well when it launches.